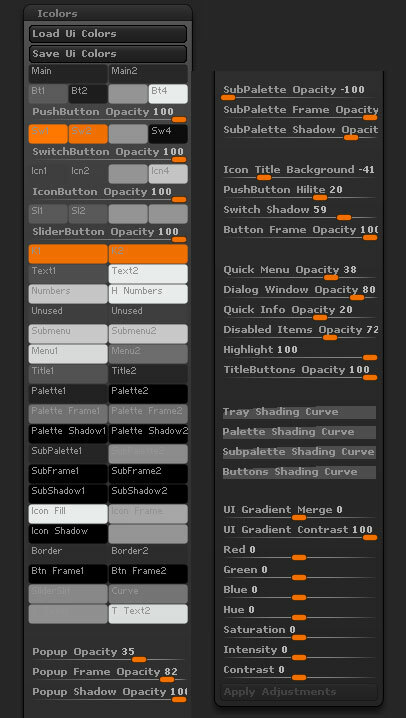 The Preferences > Icolors sub-palette allows adjustment of the interface colors to create a custom color scheme. Interface colors can be saved and loaded separately from the interface layout. The sub-palette is very long and so is split in two in the image below. Apply the Color adjustments to the interface.